This week #SundaySupper turns two! A year and a half ago when I joined this fabulous group of food bloggers I had no idea what I was getting myself into. A year and a half later I am so happy I joined this group. I’ve met several of the #SundaySupper ladies at different conferences, have been in numerous foodie events with them, and have formed real and lasting friendships. So to celebrate #SundaySupper being two, I wanted to share a simple but delicious dessert! Is there a fruit you love but when something is flavored with the same fruit you hate it? I have two fruits like this. I absolutely love both bananas and grapes but I despise anything banana or grape flavored. It doesn’t taste anything like the real fruit and both are just fake and nasty. That’s why when I wanted to make banana pudding I grabbed a box of vanilla pudding mix. Why? 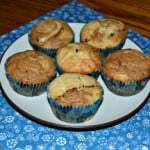 Because I knew that adding a few extra ripe bananas would give it the real banana flavor I was craving plus it was a great way to use up the over ripe bananas. The pudding itself is simple to make and takes less then 10 minutes. When I saw it the next morning I made a parfait out of it for a treat. It would also be great as a refreshing dessert. 1. In a large bowl whisk the vanilla pudding, cold milk, and heavy cream. Whisk until well combined. 2. Peel 2 bananas and place them in a small bowl. Using a spoon mash the bananas. Add them to the pudding and whisk until combined. Refrigerate for at least 30 minutes. 3. To make the parfaits peel the remaining banana and cut into 1 inch slices. Get 4 tall glasses ready. 4. 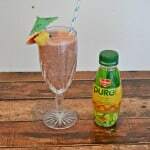 Pour 1/4 cup of pudding into each glass. Add whipped cream and sprinkle with granola. Divide the remaining pudding between the glasses, sprinkle with granola, and spray whipped cream on top. 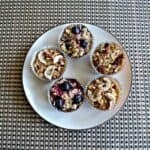 Sprinkle with remaining granola and top with several banana slices. I am not a fan of bananas, but I love banana pudding. I’m sure that’s totally weird, but ah well. I agree with you about the grape flavor, and come to think of it, fake banana IS nasty! Yesss – I am so with you on the banana flavored things – it doesn’t taste like banana! A lot of times I find that apple flavored foods don’t taste like apple to me either. Very smart of you to add fresh bananas to the vanilla pudding to get a natural flavor! I totally agree…banana flavored foods are just plum awful! My mom used to give us banana flavored liquid Dramamine before long car trips. Can you imagine how horrible that tasted??? Your parfaits look delish! I am with you – I love bananas but hate banana-flavoured stuff. 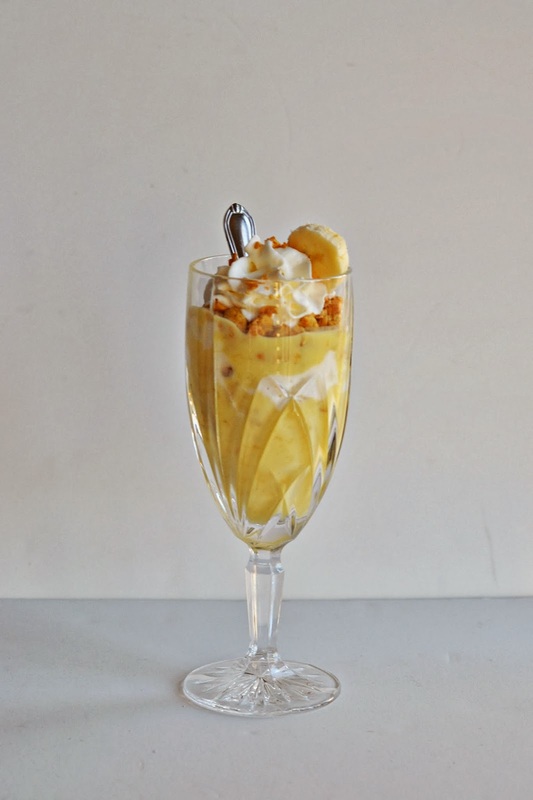 This Parfait however, looks like a very elegant, grown-up version of my favourite childhood puddings! What a perfect dessert for our Birthday Celebration. Thank you so much for all that you do to make #SundaySupper so special all year round. Oh, I’m glad to know I’m not the only one with a banana obsession! I gasped out loud this week when my organic box emailed me to say that the bananas were out of stock. My coworkers were very concerned! Thanks for the great recipe and being part of this awesome community. yummmmmm. . banana pudding! love these parfaits!!! What a great dessert, so delicious looking. I love banana flavor anything, so good!! Banana flavored anything is terrible to me. It has such a fake flavor. It’s the same with fragrances too. Real lavender is lovely but fake lavender makes my eyes water. I’ve never thought to use granola with banana pudding (always used vanilla wafers) however I want to try it your way to see how the added crunch texture does and holds up. Lovely dessert and looks like I have all the ingredients on hand,so will be trying these 🙂 Thankyou and its been a pleasure cooking with you! 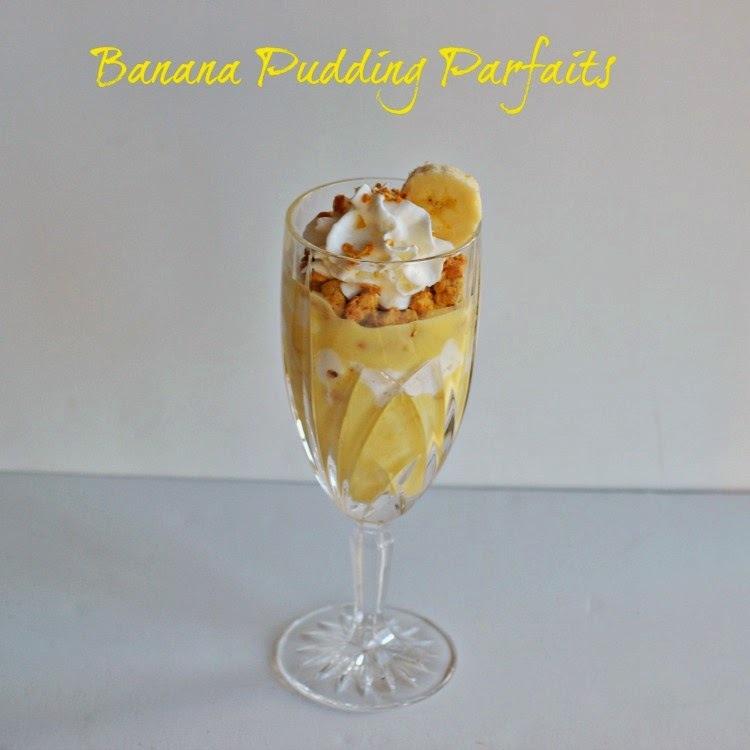 I love parfaits and I love banana pudding so I can’t believe I never thought to combine the two. I’m going to have to do this soon! 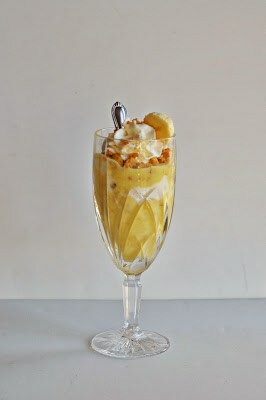 I love banana pudding and what a great way to use of overripe bananas!